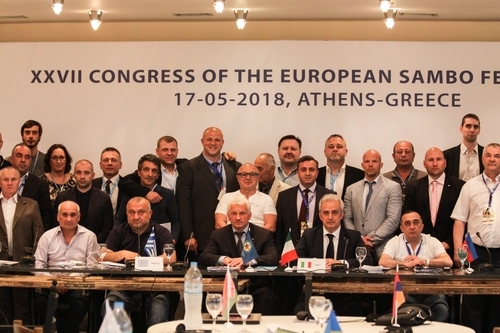 On May 17th the annual congress of the European Sambo Championship (ESF) has been held in Greece. The congress gathered 11 members of the Executive Committee, 29 members of the national sambo federations and one candidate member. 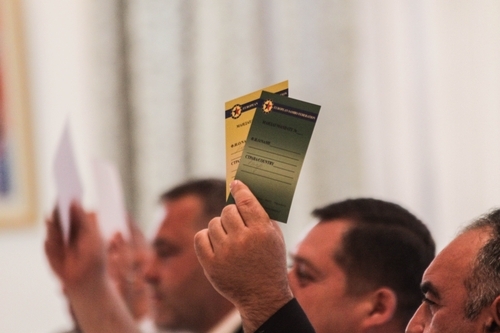 The congress considered the issues concerning the report of the ESF Executive Committee’s activity for 2017, the international ESF sports calendar for 2018-2021 as well as the changes in the membership composition of the ESF. The event started with the minute of silence in the memory of Levon Hayrapetyan, former president of the Armenian Sambo Federation and also to commemorate the tragic passing of Alexey Rybakov, referee of the international category. The President of the European and All Russian Sambo Federations reported about the ESF activity. He informed that 36 National Sambo Federations are being part of the ESF and also 3 candidate members: Austria, Norway, Sweden. 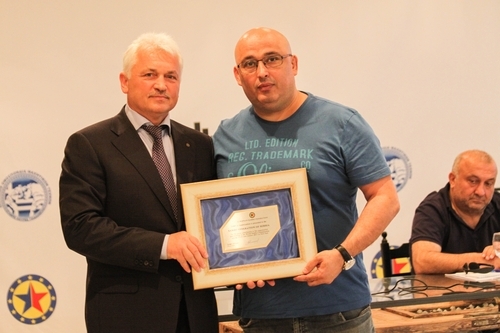 Among the ESF members 20 National Sambo Federations has got the recognition from their National Olympic Committees, the last federation which has received the recognition was Serbia. 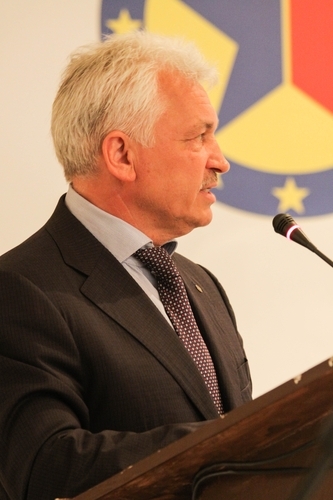 The head of the ESF paid special attention to the athletes’ insurance for the competitions. He remind about an incident, which was happened to an Armenian athlete Kolya Karapeityan who had a very hard injury resulted to coma during his bout in combat sambo at the European Sambo Championship. “It is not about particular interest; it is about lives of our athletes” — concluded Sergey Eliseev. The president said also about the necessity to continue the anti-doping activity inside the National Sambo Federations and informed that 5 athletes by now are suspected from participation in the competitions. To sum up the ESF president congratulated the federations organized the competitions on the high level in 2017: Czech Sambo Union, Belarus Sambo Federation, Madrid Sambo and Wrestling Sambo Federation, Croatian Sambo Federation and Serbian Sambo Federation. At the end of the congress an issue about inclusion of Iceland Sambo Federation as a candidate member to the ESF was put on voting.